The capacity of an evaporator set is partially determined by the inlet steam temperature and the surface condenser temperature. 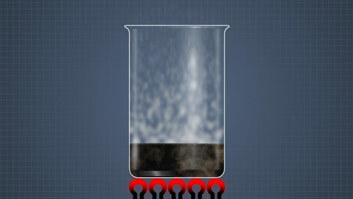 As black liquor moves through the set and becomes more concentrated, the boiling point of the liquor increases. 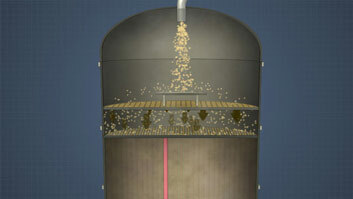 In a crystallizer, scale on the heater is minimized by precipitating salt crystals in the flash tank. 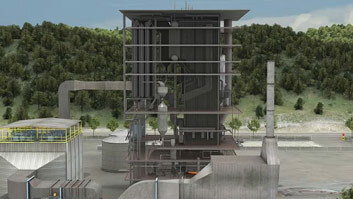 Multiple-effect evaporator sets are used to remove water from black liquor so that it can be fired into a recovery boiler and the pulping chemicals can be recovered for reuse. 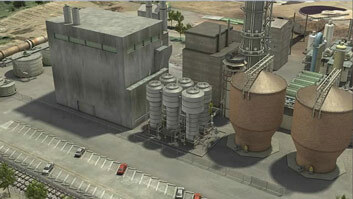 The efficient operation of the evaporators is critical to the mill's economic success and environmental compliance. 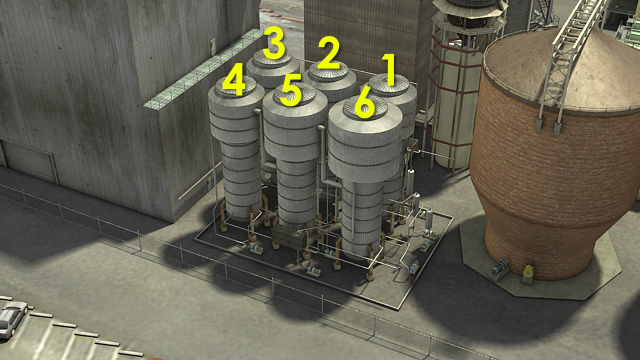 This module describes the operations of the most common black liquor evaporator designs. It then details some common problems and their impact on the capacity and economy of this process. Define "steam economy," "multiple effect," "driving force," "boiling point rise," "scale," and "boil out"
What is a multiple effect evaporator set? 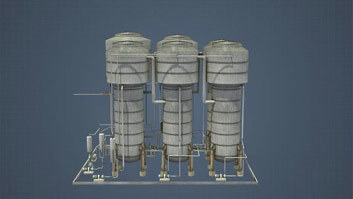 A multiple effect evaporator set is an unit made up of multiple evaporator bodies, or stages of evaporation. 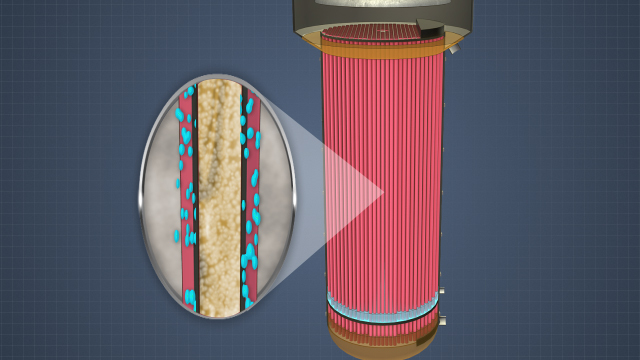 How are NCGs removed from the surface condenser? 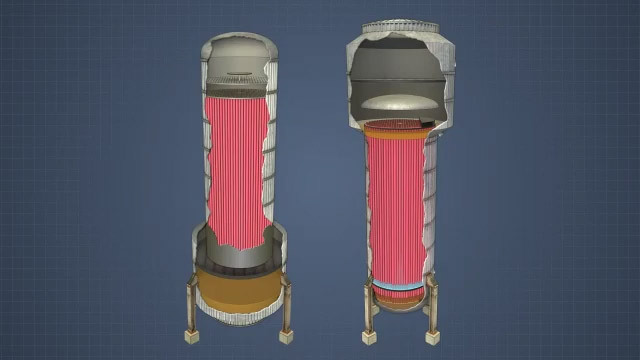 NCGs are generally removed from surface condensers by vacuum-creating steam ejectors. What is the thermal driving force in an evaporator set? The thermal driving force of the evaporator set is the difference in temperature provided by the incoming fresh steam and temperature of the surface condenser. What is boiling point rise? Boiling point rise, or BPR, refers to the fact that as black liquor becomes more concentrated, the temperature at which it boils increases. ""Boil out"" is the operation of shutting down and effect and passing fresh water or a chemical solution through it with the intention of dissolving scale, or deposits, which develop on the heat exchange surfaces of evaporators as they operate. 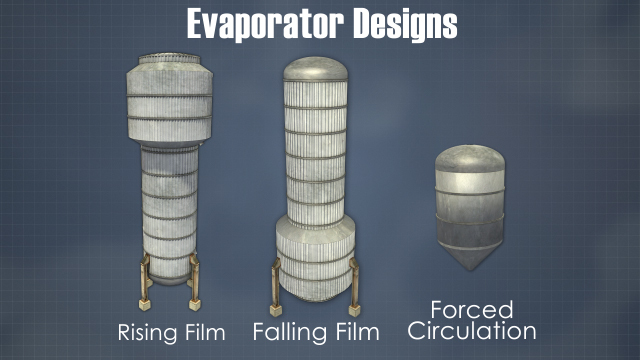 There are several different evaporator designs and they all contain two major parts. The first is the heating element. Usually a vertically arranged heat exchanger where the vapor or steam condenses and transfers its heat to the black liquor. The second part is the vapor body. Also referred to as the vapor head or dome, which provides space for the concentrated liquor and water vapor to separate. The heating element is designed to provide as much surface area as possible for the vapor to condense and transfer heat to the liquor. The more heating surface that is available, the more the solution can be heated. Sets of tubes or parallel plates are commonly used. Black liquor and vapor or steam are both continuously fed into the evaporator. And concentrated liquor, water vapor, and condensate are all continuously discharged.